Portions of the north mainland Brunswick water system, on Perry Lane Road from Grace Ct over to highway 341, from Tractor Supply to McKenzie Drive, lost pressure early Saturday morning, January 26, 2019 due to materials failure on a 12″ PVC water main. Perry Lane Road will be closed to through traffic between the 700 and 1200 blocks (roughly train track to train track) while the main is repaired. Once service has been restored and BGJWSC lab personnel have collected water samples for testing. This testing, which will take between 18 and 24 hours, should be completed the this evening, at which time an all-clear message will be posted. 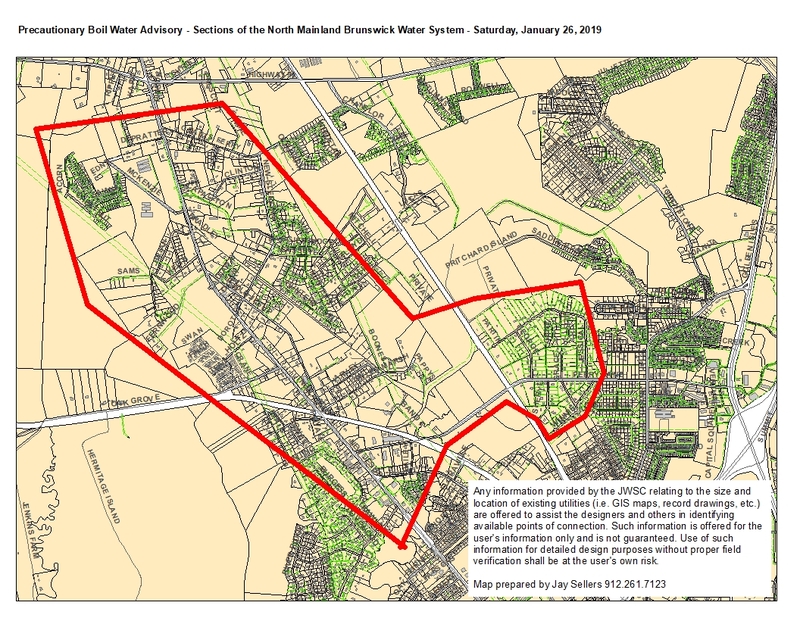 This entry was posted in Boil Water Advisory, Road Closure on January 26, 2019 by Jay Sellers.